There is an adage that says that there are only two certainties in life: death and taxes. But when you think about it….this familiar cliché’ is not entirely accurate. With the right deductions and a good accountant, many people have managed to avoid paying any taxes at all. But everyone will face the ultimate certainty that we all die. Death is an unavoidable reality for all people. 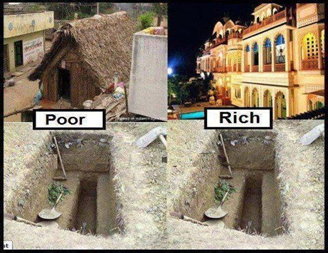 The rich die as well as those that are poverty-stricken. The rich man in Luke 16 died just as the beggar Lazarus had died. The educated as well as the illiterate face death. Children died as do the elderly. According to the following website, https://www.quora.com we learn these facts about death. This means that each time your heart beats, TWO people slip off into eternity. I often ask people I meet what I consider to be the most significant and important question in the world. “If you were to die today, are you 100% certain that you would go to Heaven, or would you honestly say, I just do not know?” Why ask a such a question? Because of the clear teaching of Scripture on the CERTAINTY of death, yet the uncertainty as to WHEN each person will die. Hebrews 9:27 warns us of death and facing God in judgment. “And as it is appointed unto men once to die, but after this the judgment.” I firmly believe that Jesus could remove all Christians from this world at any second (I Thessalonians 4:13-18), but until that happens, man will continue to die. Therefore, God cautioned us to “…Prepare to meet thy God…” in Amos 4:12. The following message was sent to me by a godly friend in India. “One of my students, a 10-year old girl went to be with the LORD for eternity today, just now. She trusted and accepted Jesus Christ as her personal Savior during the VBS (Vacation Bible School) conducted in our school last year, (Nov.6-10, 2017).” I asked the cause of her death, and his reply was “Cause of death is unknown! A sudden death, black spot spotted all over her body.” Her funeral will be tomorrow, January 6, 2018, in India. This is the second 10-year-old to die in the last 12-months that I am aware of. In the Philippines, I was soul-winning with a pastor when we came upon a casket. I asked to go and have prayer with the family. As we approached the home, we noticed there were two caskets. The one we saw was the 38-year-old husband and father. The second coffin was for his ten-year-old son that died that tried to save his father’s life. The son tried to rescue his father from the electrocution. But the young man was likewise electrocuted while pulling the wires off his dad. Both died from the incident. I am uncertain as to the spiritual condition of the father and his son, but at the casket, God allowed me the opportunity to lead six adults one of whom was the wife and mother, to Jesus Christ. The events of that day led me to thank God for all the parents, grandparents, godly teachers, and youth-workers investing in the spiritual welfare of our young people. I was flying to Tokyo’s Narita Airport during 2017 when our plane nearly crashed due to the severe weather and high turbulence. People were screaming lime one would in a horror movie. I looked into the faces of many screaming and hysterical people. The lady sitting next to was doing the sign of the cross. We had seconds before the crash that seemed inevitable. But God in Glorious Grace spared each life aboard the plane. As we landed roughly, the Pilot did a magnificent job of preventing the plane from crashing. Once we were safe, all of the passengers on board that I could see was clapping like their favorite team had just won a championship. I turned to the lady sitting next to me and asked her if she had died would she had gone to heaven. She said, probably not. I asked her if I could tell her how she could know, but she said she was okay. Justified: How Can A Holy God Justify Sinners?? Justified: How Can A Holy God Justify Sinners? Job 9:2 asks a thought-provoking question, “I know it is of a truth: but HOW shall a man be just with God?” How can a person really be justified before a holy God? Or, how can a holy God justify sinners? What great questions they are. However, it is imperative that we clearly understand from the beginning, that God does not overlook our sin. God personally dealt with the sin question 2,000 years ago. He did this on the Cross, through His sinless Son, Jesus Christ. We have been justified as a result of a three step process. We shall look at the first step today. Romans 3:24 says: “Being justified FREELY by His grace through the redemption that is IN Christ Jesus.” Paul reminds the Believer that justification is not by merit, but completely by the Glorious Grace of God! The word freely could be translated “without a cause.” In other words, there is NOTHING within you and I that would cause God to justify us because of our “good, moral, and exemplary life.” No, Paul concludes that justification is definitely an act of pure grace. Who Exactly Does God Actually Justify? God justifies the ungodly person. Romans 4:5 “But to him that worketh not, but believeth on him that justifieth the ungodly, his faith is counted for righteousness.” This is just the opposite of what took place during the Old Testament days. This is pure grace. What is man really life when standing exposed to the perpetrating eyes of God? Romans 3:23 reminds us that WE have ALL sinned and come short of the glory of God. We do not even come close to the perfection of God. In fact, the closer I get to God, the blacker my sin becomes to me. How sad, but after being a Christian for these 44 years, I am just beginning to understand just how wicked and vile I have been in the sight of God. Will You Call Upon Jesus Christ For The Forgiveness Of Your Sins Now?